Initial discussion – Often on the telephone, this allows us to clarify certain key issues such as the plot size, location, and your broad objectives. A convenient date and time would be arranged for us to meet. Initial Meeting – The purpose of this is to gain a proper understanding of your needs and thoughts and the unique features of the plot, the style and period of your property and the surrounding environment. We discuss what your garden will be used for and by whom. During this meeting examples of previous designs are presented to give you a better understanding of the scope of our work and to further explain the design process. Site Survey – Before commencing the design, a fully detailed, digital topographical survey is prepared, which includes the position of the property, boundaries, trees and all of the other existing elements and ground levels. Second Site Visit and Meeting	– We visit with a paper copy of the survey and discuss again the design intent, before commencing with the concept design. During this visit a site analysis is undertaken, which includes taking soil samples and site orientation, etc. A video recording of the garden is made to assist us in the preparation of the design. Concept Design	– This is the point at which we commit the design ideas to paper. Our proposed design for the garden is presented to you, in person, in sketch form. It gives a very clear indication of how things will look and we explain any areas of uncertainty. We take time at this stage to listen to your reactions to the design and note any particular concerns or preferences. Detailed Design	– Following your approval of the concept design, allowing for modifications should they be necessary, the design of the garden is worked up into a highly detailed and accurately scaled drawing. This drawing is presented for your final approval before proceeding to the planting design. During this presentation, we will discuss the planting. This allows us to understand your preferences, i.e. plants and colors that you may like or dislike, etc. 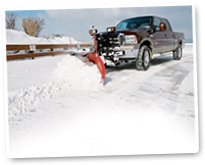 Planting Plan – Taking into account site conditions, i.e. soil conditions, aspect and your preferences, a detailed planting plan is designed and presented to you. Construction Drawings	– Detailed construction drawings are prepared for all of the hard landscape elements, ie, steps, walls, pergolas and ponds, etc. Drainage, site section and setting out drawings are prepared at this stage. 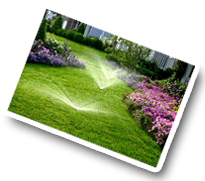 Specifications – Essentially, we prepare, in addition to the design and construction drawings, written specifications and scopes of work, to enable landscape contractors to submit itemized quotations, on a like for like basis, for the building and planting of your garden. Building and Planting the Garden – We do not undertake the actual implementation of the garden but work in a similar way to an architect. 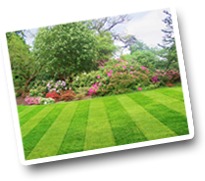 All of the drawings and documentation is forwarded to at least three reputable landscape contractors, who are invited to visit you and your garden and provide their itemized quotations.